Making a personal connection with others is an essential aspect of networking. Yet, there's another method for staying connected that you may not have considered. And, it's making a connection with the most important person to help you get ahead in your career or business. It's a unique individual, and, yes, that person is you. I call it "networking with your inner CEO." Now this is the same method that many well-known individuals have used, such as Robert Allen of the Multiple Streams of Income fame; Howard Schulz, CEO of Starbucks; and Richard Branson of Virgin Atlantic. What I want to do is give you some very specific examples to show you how this process works, how the information flowed and how the outcomes manifested. Look for the patterns that you're going to see that go across all of these examples. Now generally everything starts out as an idea in one way, shape, or form, in a way that comes into our life. So just notice how in every single example that I'm going to give you where the help is coming from and the patterns of how it showed up and how it manifested. You'll be fascinated! The first example I want to give you is Richard Branson, who is one of the most successful entrepreneurs throughout the world. He has actually become a billionaire, is very famous, and has a unique style. I'm a big fan of his, personally. Two of the biggest breakthroughs in Branson's early career—since he's expanded into just about everything in the universe since he originally became very wealthy—were Virgin Records, which was a record label, and Virgin Airways, an airline. Now in the case of Virgin Records, at the time, Branson was trying to launch a magazine. And the magazine in the United Kingdom was failing. It had severe cash flow problems. And one night Branson was at his home doing a brainstorming session with a group of people, and they were trying to brainstorm on what they could do to get some cash flow into the business. Branson was sitting there in this brainstorming session, and all of a sudden, he got an idea out of "nowhere," to sell discount records. Records were very popular in the United Kingdom at the time, but nobody was discounting them, and they weren't selling them by mail order either. Take control of my wealth, career, and achievements! Now he had never had any thoughts before that moment about selling discount records. It had never even crossed his mind before that moment; it was not anything he had been interested in. But he got an "idea" again, out of the blue, that people were buying more records and you pretty much had to buy them in retail stores at retail prices. And he thought that if they opened a store to sell records at a discount it just might work. Now again, this was not, "My magazine is failing. I need to find a different business to get into." This was, "What is something else that we could do to get some cash flow into the business to help us tide things over until the magazine becomes successful?" The idea popped completely out of nowhere, and they ended up selling discount records by mail order, and then they ended up opening up stores. And one thing led to another, and it ended up leading to Branson starting his own record label. A lot of ups and downs, and then a huge success story. But the important thing to realize is he was going in a completely different direction of doing a magazine, this idea popped out of nowhere, and then a whole bunch of stuff started to move. He had no conscious intent or desire to do any of these things, but the whole thing just flew out of nowhere and created this whole business opportunity that he was not intending, expecting, or thinking about. That's how things move sometimes. And, again, that whole thing that ended up being hundreds of millions of dollars in business and net worth to Branson came out of a simple idea that "popped out of nowhere" in a brainstorming session in his house. That's how some of this stuff happens. It just does. The same thing happened with Branson's Virgin Airways. Branson was very busy at the time. He had a zillion projects going on, running Virgin Records and doing many other things. He had no interest in running an airline or starting an airline. It never crossed his mind. And then all of a sudden, out of the blue, "a guy called him up." And this guy had a plan. He had an idea. He had a strategy about starting an airline and a business opportunity that he thought would be very lucrative. And he had the idea, and he had the connections, and he had several of the other pieces of the puzzle, but he didn't have the financing, and he needed somebody to partner with him and bankroll him to start this airline that could compete against some of the major players in England that were flying specific routes. Now, again, Branson had no conscious intent to start an airline; It had never crossed his mind. It ended up becoming one of his biggest success stories, and it came to him because some guy whom he didn't know, had never met, called him up out of the blue and said, "Hey, would you like to start an airline?" These kinds of things in his life led to a multibillion-dollar fortune and a huge success story. Again, in the first case, it was an idea that popped into his head out of nowhere. In the second case, it was people. It was a guy who called him out of the blue. Again, remember, ideas, people, resources, techniques, strategies. That's the way it all looks when it comes into your life. Now I don't know the details of Branson's life, but I can absolutely, 100 percent, guarantee you that there were a lot of other people in that same time frame when this guy called and said, "Hey, you want to do an airline with me?" who called Branson out of the blue as well. They pitched him on some wild idea of funding some business, bankrolling some business, getting involved in some opportunity, but Branson rejected it. It was just as much in left field as starting an airline. Somebody may have had just as much logic and excitement, and the opportunity may have been just as lucrative as this airline idea, but Branson turned them all down. But when this guy called and he said, "Do you want to start an airline?" and he started giving his pitch, something inside of Branson said, "This one I'm going to do." This is an example of how inner CEOs can work. Stuff went on from behind the scenes through what I call "the invisible network." The linkage was created between Branson and this guy. They got the guy to call Branson, they got Branson to take the call, and then they created whatever it was inside of Branson that said, "This one I've got to do," because this was a plan the inner CEO had that linked to Branson's life purpose and mission that he had no conscious awareness of or intent to do. But they rigged it up to work this way, including giving him this inner feeling or whatever it was that caused him to say, "This one I've got to do." little-known force that shapes your success. Now my belief is Branson's inner CEO popped the idea to sell the discount records into his head. This came from the perspective of having more knowledge about Branson's destiny and life purpose and the opportunities that were available in the world to him by tapping into the invisible network. Same thing with the airline. Something was going on behind the scenes. There were projects that this other guy's inner CEO was working on and Branson's inner CEO was working on. And through the network, they hooked up, and this guy's inner CEO said, "We need help in this way to build this airline." And Branson's inner CEO said, "We need help in order to build this empire that we're going to build as part of our purpose." And the deals were made. And in this case it was pretty easy, and the rest is history. That's just one example. The next example I want to give you is from Nike, the shoe company. If you don't know, Nike was originally a partnership between two men. One of the men was a guy named Bill Bowerman, who was a track coach in Oregon in the United States. He was very innovative when it came to trying different kinds of shoes that could help his track athletes improve their performance. And he was always experimenting with different kinds of materials and different kinds of designs and different things to try to come up with the shoe that could improve the performance of his runners at his university. One of the biggest breakthroughs that Nike had in its early years, before it became a billion-dollar, huge, dominant player, and that led to a huge, successful line of shoes for them was what was called the waffle sole. You may have owned a pair of the waffle-sole shoes of Nike's many years ago if you were into that at the time. Now, where did the idea for that waffle sole come from? Bowerman and his wife had waffles all the time for breakfast. And, literally, Bowerman was sitting there one day thinking about shoes, thinking about how to come up with new designs that could improve the performance of his runners. And at that moment that he was thinking about new designs and stuff, he looked at the waffle iron. And he looked at the shape that the waffles made, you know, those little indents that come out of waffles. And, now again, he'd looked at waffles every day of his life now for years—or multiple days a week—he looked at this waffle iron, and he'd eaten waffles, and nothing ever happened. But on this particular day, he thought to himself, "Wow, that shape might solve one of the problems I've been struggling with. It might give my people more traction and improve the results that they produce." So in that moment, he literally went and took a bunch of rubber and he poured it into the waffle iron and completely destroyed the waffle iron, but he ended up pulling off this thing, and it had this pattern, and it led to this tremendously successful shoe for the Nike Shoe Company and had a lot to do with Nike's early success. But it came to him by simply watching a waffle iron. Now I'll bet you at this point you can guess what I'm going to say. Where did that idea come from? Why in that particular moment when he'd been looking at waffle irons a lot of time in his past, why that time did he all of a sudden get this idea and pour rubber into the waffle iron, and come up with this sole? The answer to me is his inner CEO was looking for ways to get him messages, was trying to help him come up with new shoe designs, and knew about the fact that Nike was going to be something that Bowerman was going to be involved with and was looking for ways to get him a message and to help him have a breakthrough, and that's how it happened. His inner CEO somehow put a thought into his head, if you will: "The waffle shape could help you with your designs," and boom. The next example I want to share with you is Dave Thomas, the founder of Wendy's hamburgers. I want to quote something from his biography. And what's being talked about in this passage is when Dave Thomas met Colonel Sanders, the founder of Kentucky Fried Chicken, obviously another successful fast-food franchise that had a lot of impact on Dave's life and his later success. Here's what Dave wrote in his biography, "He introduced himself and asked if I knew him. I pretended I didn't, even though I knew all about him. We sat down over a cup of coffee, and he talked to me a like an old friend. I've never met a better salesman. When he left, I had a sense that this man was going to change my life." Now ask yourself this question, where would Dave get a sense like that? When he said, "I had a sense that this man was going to change my life," where do you think that came from? You know the answer; you know what I'm going to say. You know you could call that an idea or a feeling, but again, it's flowing through the sources that we're leaving open for information. He got that feeling, which to me was a definite message from his inner CEO and also an accurate one. And when you have a feeling that somebody you've met is going to change your life, do you think you're likely to pay more attention to what happens in your interactions with that person? Absolutely. Dave went on to say in his biography, "Kentucky Fried Chicken made it possible for me to meet Kenny King back in the late '50s at the Hobby Ranch House. He and a couple of his people came to Ft. Wayne to see what Kentucky Fried Chicken was all about. Kenny became my role model for success." Again, help to produce results, to fulfill life purpose and missions, coming from people, coming through inner CEOs looking for ways to connect people to produce particular outcomes. He found his way to Colonel Sanders, got this feeling that Colonel Sanders was going to help him. Colonel Sanders led him to another gentleman, and these two people had a huge impact on his creating what he wanted and what was part of his life purpose, which was success in the restaurant business. One last example from Dave: "The opening of Wendy's wasn't backed up with any fancy market research, but I had a nose for trends in the restaurant business." Now let me ask you, where would somebody get a nose for trends? This simply means that the person just seems to have information about where things are going from somewhere other than logic. Dave continued, "Back in 1969, these were feelings in my gut. They would have been tough to put into words." Sometimes that's where the information and the ideas and the responses to our requests come from: feelings in your gut, things that would be tough to put into words. "What is my inner CEO trying to tell me?" 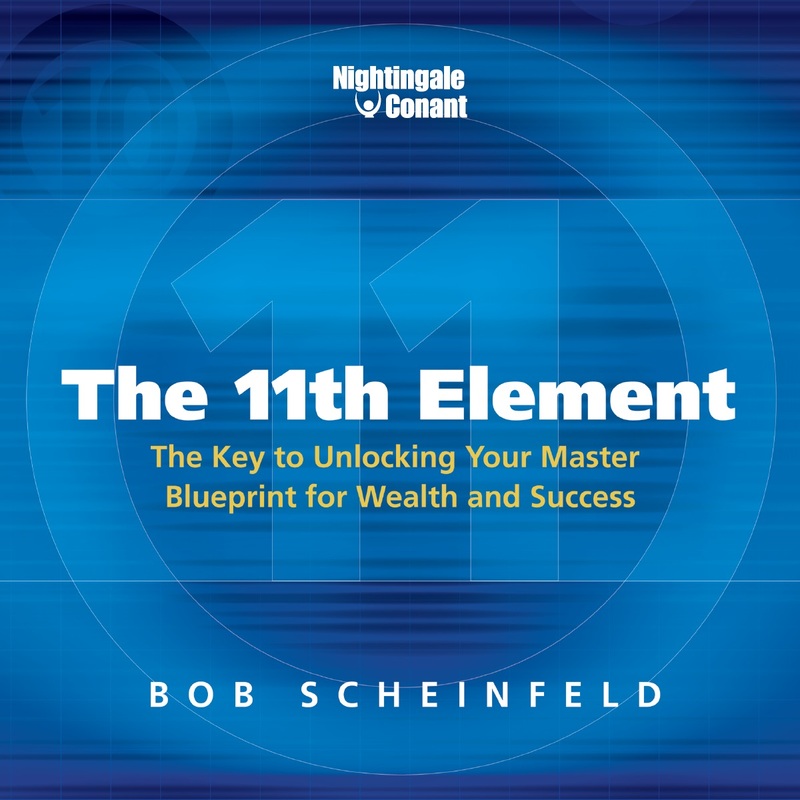 Your wealth, career, and achievements are all shaped by a powerful set of unseen, rarely discussed forces known as "The 11th Element." Consistently make the right, best decisions for yourself, your business, your finances, your future - and do so with amazing speed. where you are now to where you want to go. The 11th Element is the bridge. I want to explore the intricacies of this potent force that shapes my wealth and my success. The 11th Element at the special price below. — I can select one of two ways of ordering.